The presumably best known and oldest classic sauna, for guests who enjoy heat and relaxing at a high temperature. This kind of sauna is especially heated to 55 celsius and 40% humidity which, is ideal for gentle cleansing of the human body. Is sprayed with seasalt, to both moisturize and create relief if the body is cold. Through 95% humidity your pores gently open which, causes you to sweat. This specific steam technique, in combination with heat helps create a relaxing environment. 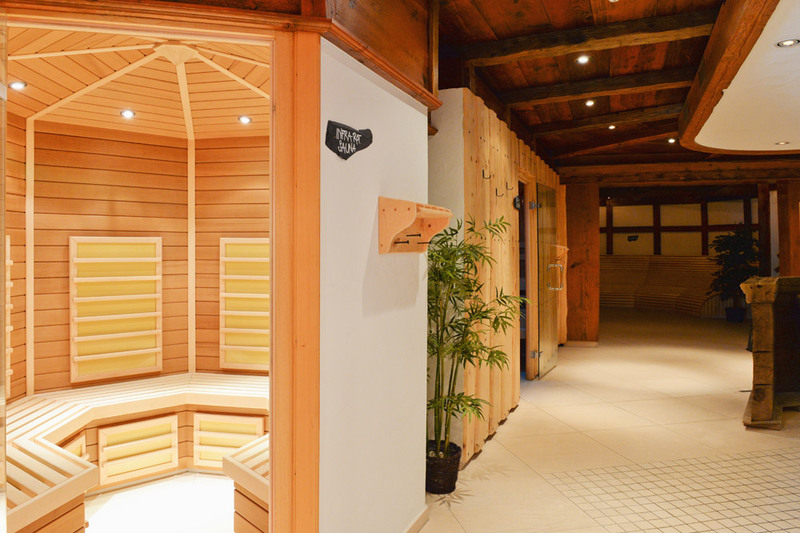 The infrared deep-heat radiation causes a greater volume of sweat in comparison to a traditional sauna although, it works in a lower and more comfortable temperature range of up to 50 degrees celsius.